May marked the end of Mid-City’s Safety Month, an inaugural safety campaign launched with the goal of enhancing our safety culture here at Mid-City. The month-long program provided additional trainings, friendly competitions, and a stricter enforcement policy. Brandon Stowers, safety coordinator, managed the month-long program, leading 17 additional trainings on topics such as fall protection, personal protective equipment, hazardous atmospheres, and confined space protocol. Additionally, the safety department held weekly raffles, where individuals who made above-and-beyond safety efforts were peer nominated and then entered into a drawing. Raffle winners for 2017 May Safety month included electricians Rusty Henley, Chad Ebert, Brandon Stonerock, Ryan Carraway, Anthony Smock, and Joe Hall. 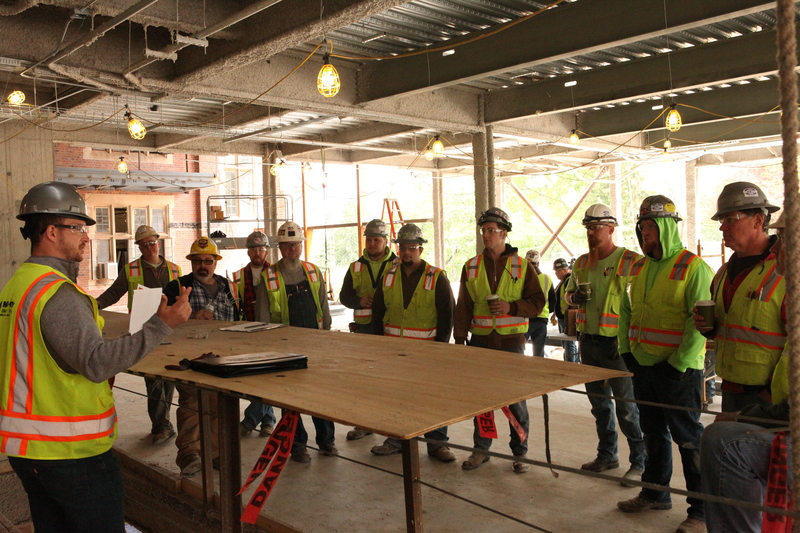 In addition to recognizing individual employees, the safety team awarded three overall job site winners , which included the National Veterans Memorial and Museum, Nationwide Children’s Hospital 7th Floor Renovation, and OSU Oxley and Pomerene Halls. Brandon plans to make this an annual safety campaign, with the next safety month tentatively scheduled for May 2018. For more information on Mid-City’s safety program, contact Brandon Stowers, Safety Coordinator.